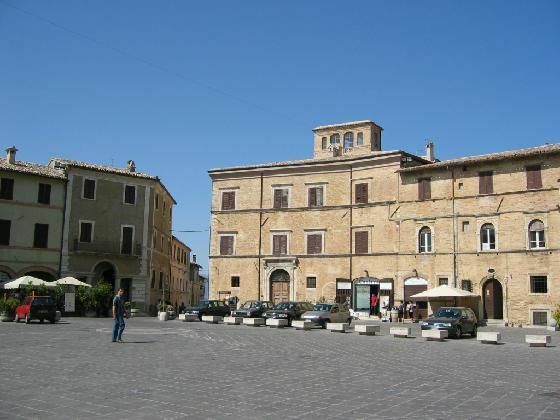 This pretty town of about 5700 inhabitants sits in beautiful hilly landscape along with many other villages in an area called “ The Balcony of Umbria” due to the sweeping views it affords. Montefalco is the central town of the Strada di Sagrantino, the wine route that winds through fields blanketed with vineyards, golden sunflowers and five enchanting fairy tale villages. The road is signposted and accessible by car or bike and the tourist offices in the area offer brochures for wine connoisseurs and those curious to learn a bit more as well as information about restaurants, accommodation and the history of the area. Around the Piazza del Comune are various excellent enoteche, restaurants devoted to wine tasting. 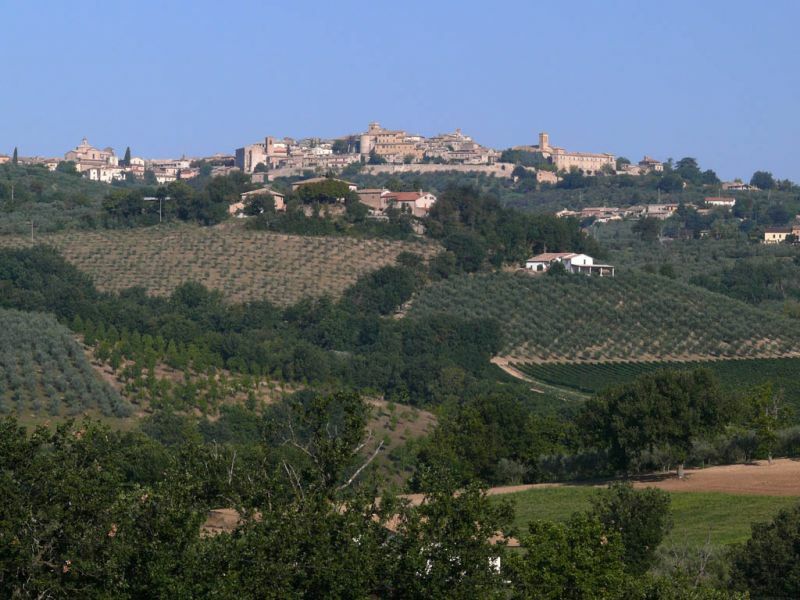 Vineyards in Tuscany can be visited by travellers at any time but in Umbrian vineyards only open their gates to public the last Sunday of May, known as Cantine Aperte. Otherwise for tastings you have to go to the enoteche. A world famous vineyard is Arnaldo Capral in Torre di Montefalco which unlike other Umbrian vineyards has a tasting room available regularly. Its wines are exported and have a reputation worldwide. Another vineyard to try Umbrian wine is between Bevagna and Foligno in Paolo Bea, a family run business producing four wines, where you can visit the vineyards, taste the olive oil and bruschetta along with enjoying a musician strumming his harp in the background. The Museo Civico San Francesco is the most interesting construction in town situated next to the deconsecrated church of Saint Francis, where you can see a fresco by the Umbrian Benozzo Gozzoli, a sort of avant garde painter for the 15th century as he introduced perspective for human figures. Hotel Ristorante Ringhiera Umbra will tantalize your tastebuds with its excellent dishes such as the strangozzi with truffles and Sagrantino sauce. It also has a lovely warm atmosphere and fair prices. BY BUS: from Montefalco to Foligno (duration: 30 minutes, services: eight a day), to Perugia (duration: 1 hour, services: 3 a day). 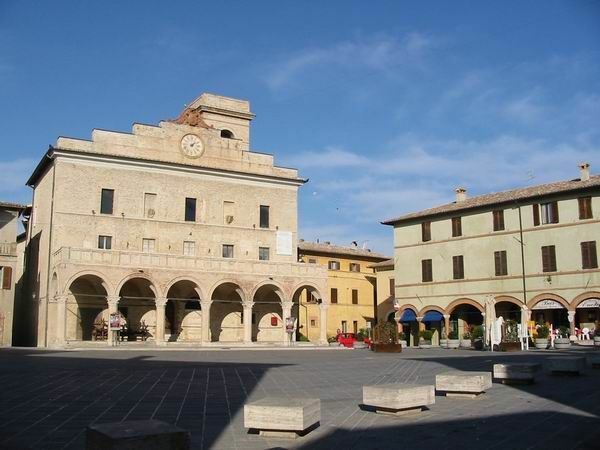 Bevagna to Montefalco and Montefalco to Bevagna (duration: 20-40 minutes, services: 5 a day).